Yes, another salad post. 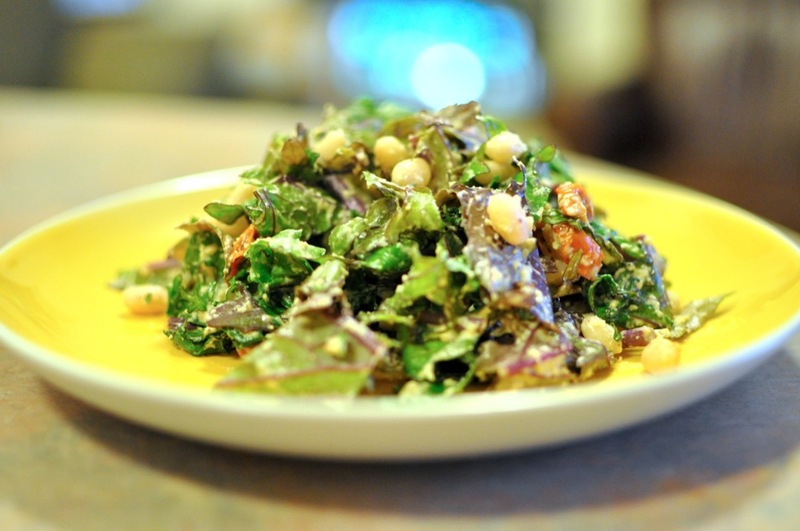 Sorry… I’m seriously craving salads lately. I think that’s part of the joy of eating locally. We don’t eat salads much in the winter, so it’s exciting and new when the markets start to fill with greens. 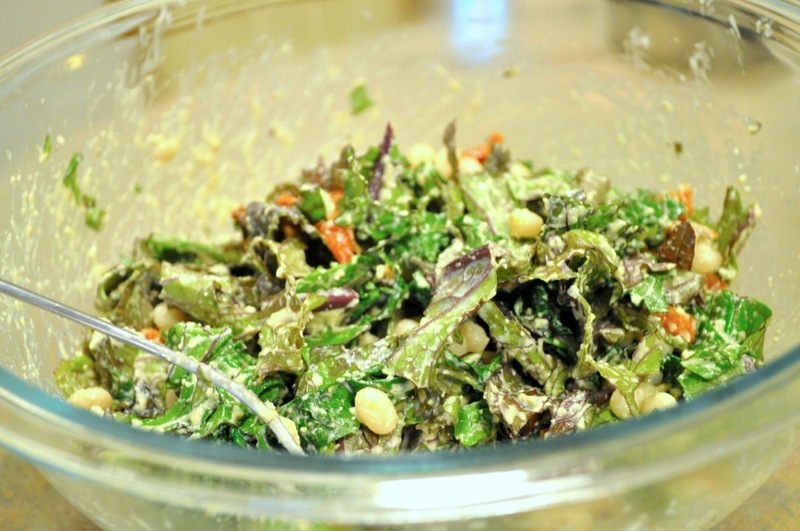 This recipe is based on one from Choosing Raw, but modified for what we tend to have on hand. Gena is a great inspiration for healthy, but not Spartan, living, so take a look through her blog, if you have a minute. Plus, she makes outstanding salads! Sorry also, for the long time between posts. We went to Flying Pigs Farm with some friends for the weekend and had the most amazing time. More on that later, but we were too busy having fun, cooking, and relaxing to get any posts up. On to the recipe! This salad has great contrasting flavors. The dressing is a little tart and sweet. The tomatoes are sweet little bites. 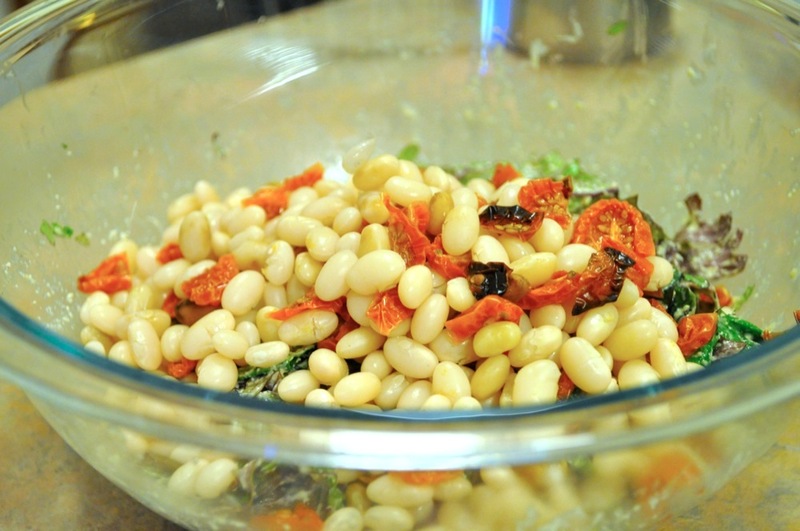 The beans are soft and smooth and the kale is hearty, but not tough. It will keep nicely overnight in the refrigerator, so this is a good recipe for dinner + lunch the next day. It does use a few unique ingredients. Nutritional yeast sort of tastes like cheese, but it’s vegan and keeps well in the refrigerator, making this a good dressing to whip up from the pantry. Dulse flakes add a little saltiness and sea flavor to dishes, but you can omit it, if you don’t have it on hand and don’t want to buy it. Both are tasty on popcorn. Blend all dressing ingredients (cashews through water) in a blender or food processor until smooth. 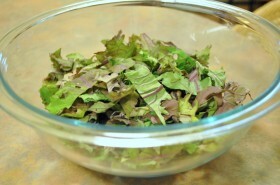 Slice the kale into 1/2- to 1-inch ribbons (see directions here) and place in your largest bowl. 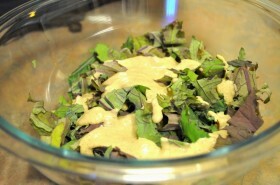 Pour most of the dressing over the kale, reserving 1/4 to 1/2 cup. 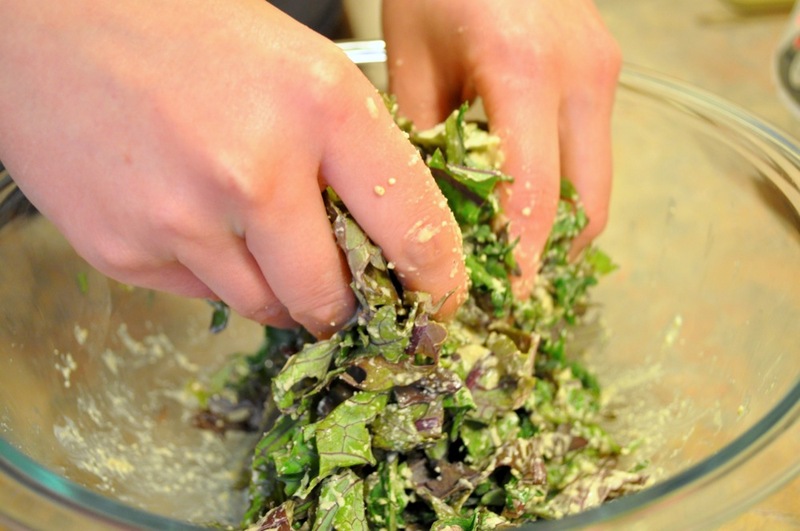 Use your hands to rub the dressing all over the kale. 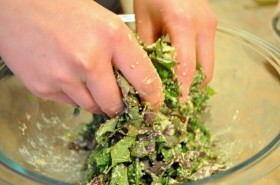 This massage will help the kale soften and ensure that the dressing is evenly distributed. Let the kale sit for 10-15 minutes to soften further. Slice the dried tomatoes into bite-sized pieces. Our tomatoes are pretty small, so we just cut them in half. 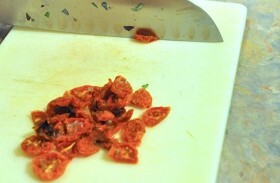 If you use jarred sun-dried tomatoes, you should cut each tomato half into 4 or 5 strips. Add the tomatoes and white beans to the kale along with the rest of the dressing. Use your hands again to combine everything. Enjoy!